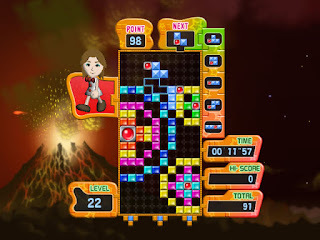 Tetris Party Deluxe NDS apk android for DraStic free download working on mobile and pc,Nintendo DS EmulatorTetris Party Deluxe builds on success of Tetris Party (formerly found on WiiWare)by adding new modes and features to enrich the overall game play experience. The game features six new game modes, including the explosive Bombliss and VS. Sprint — a mode that enables up to four players to compete for the first 40 line completion! 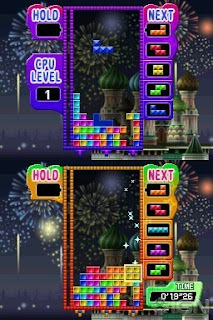 In addition, there are four additional enhanced modes of play including an Edit Mode within Shadow that lets players create their own shadow puzzles to play. And for Tetris fans who like playing with others, Tetris Party Deluxe has a wealth of modes including online battles over Nintendo Wi-Fi Connection in addition to local multiplayer fun for groups of friends and family.Six new game modes — Bomblis, Sprint, VS Sprint, Master, Co-op VS Co-op, and All Clear Sprint. Four new enhanced modes of play — Field Climber now includes an “Everest” option for added challenge with endless play. Shadow now includes an “Edit Mode” to give players the ability to create their own puzzles. Stage Racer now includes an “Abyss Mode” that extends the length of race course for an ultimate endurance test. Duel Spaces now includes improved rules for a more intense multiplayer experience. 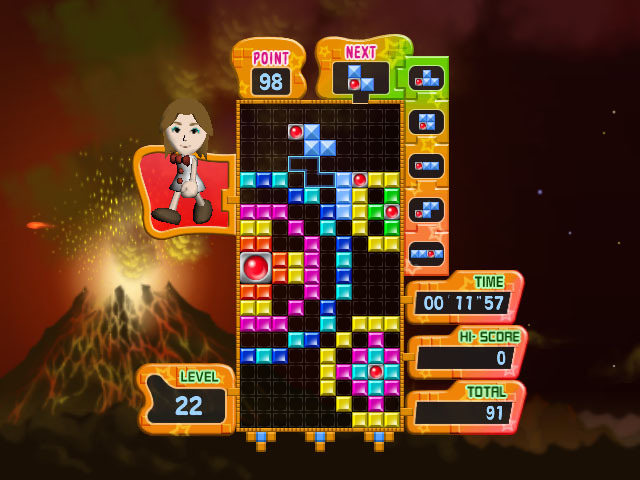 Battle it out with friends during multiplayer mode (online and local) by using 13 exciting items to prevail against your competition. Track your progress with in-game statistics that award more than 130 achievements. Utilize the intuitive touch screen to activate Magic Items during multiplayer games. 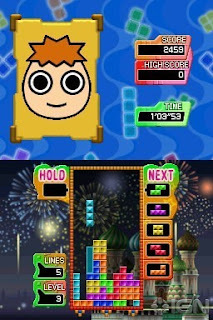 Simply speak into the Nintendo DS microphone within the Wi-Fi Battle lobby to speak with other users. Share a local multiplayer game with up to 8 other players using one Game Card. Nintendo Wi-Fi Connection multiplayer enables World Battle with up to 4 players. 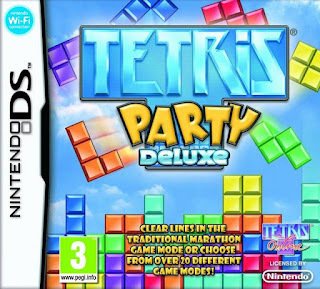 Developers: Hudson Soft, Tetris Online Inc.